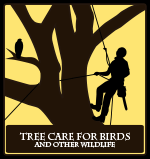 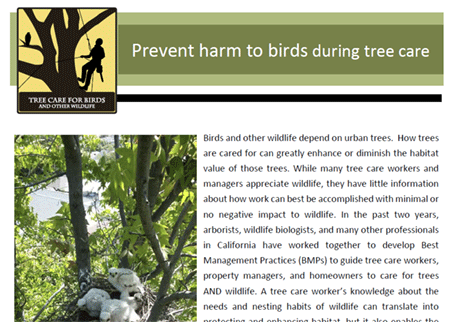 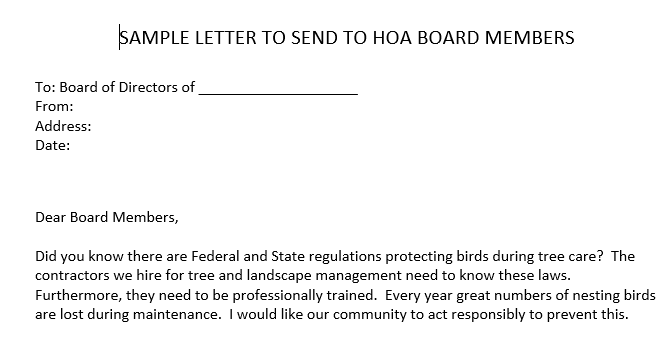 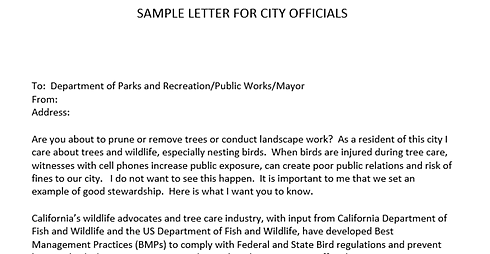 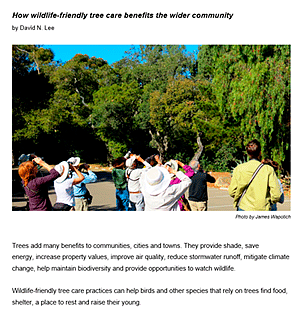 Tree Care to Protect Birds & Other Wildlife and to Enhance Habitat by Gillian Martin and Anne Fege, Ph.D. 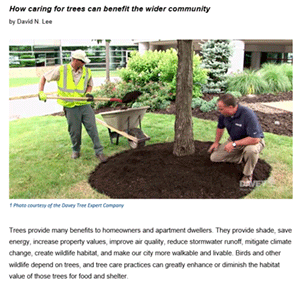 Sample Facebook post “Tree trimming? 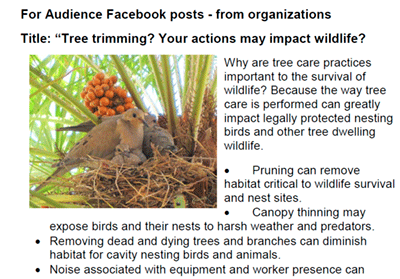 Your actions may impact wildlife?"